Beth is here to help you through the process of "Listing" your home for sale and getting it "Live" on the Market! She works closely with each of our agents here at ARGO Real Estate & The Damian Godoy Team, and she is always happy to serve, answer questions, and assist you with selling your home. "I love, love, love, helping people, and look forward to coming to work everyday and helping any way I can! :) The process of selling a home can be an emotional roller coaster! I'm here for YOU to help make that process as smooth and easy as possible." 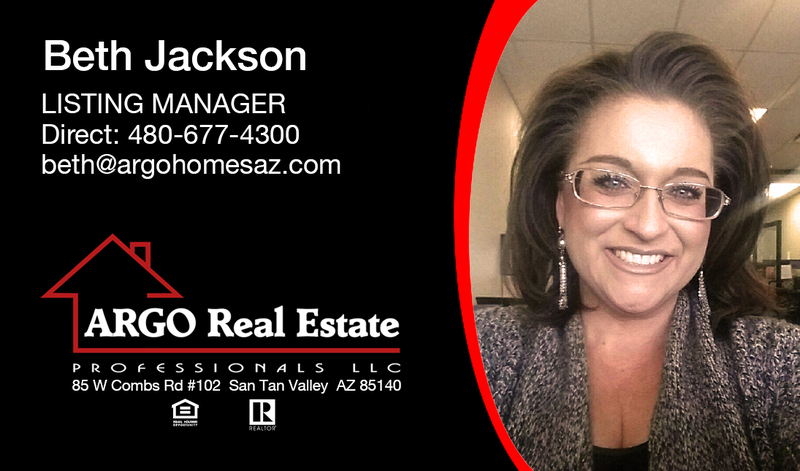 Beth keeps in communication with each of our clients and keeps you up to date with all the happenings involved with the Real Estate Listing process. Communication is KEY for us here at ARGO Real Estate Professionals, and Beth helps you stay informed.